American filmmaking went through a period of spectacular growth and increased genre diversity throughout the 1950s and 60s. The Hollywood studio system was slowly collapsing, allowing more space for young directors, writers, and actors to step in and start experimenting. While the low-budget horror film Carnival of Souls didn’t achieve cult status until many years after its release, it has all the hallmarks of early American realism, filtered through a horror story that asks more questions than it tries to answer. 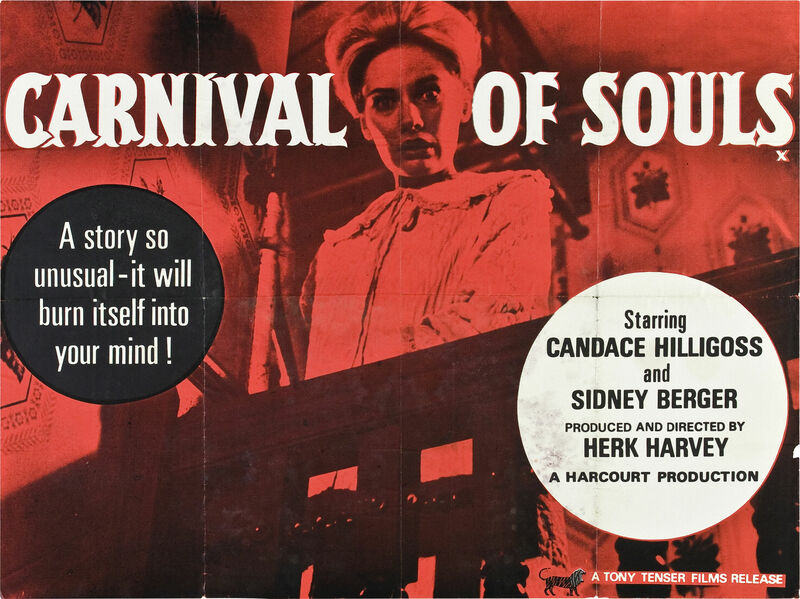 Carnival of Souls tells the story of Mary Henry (Candace Hilligoss), a young woman plagued by hallucinations following a near death experience when her car plunges off a bridge during a drag-race. The other occupants of the vehicle are killed, but Mary emerges from the river three hours later with no memory of what happened or how she escaped. A week afterwards, she takes a job as an organist at a church in a small Utah town, hoping to escape from the trauma of her car wreck. But when she arrives in the town, she begins to hallucinate that a bizarre man is stalking her. This all seems tied to an abandoned carnival on the outskirts of the town, though how or to what purpose remains unclear. Carnival of Souls relies mostly on the tense, off-kilter atmosphere of the town and its inhabitants, focalized through Mary and her increasing paranoia. The camera work itself feels carnivalesque, managing to instill close-ups and otherwise normal scenes with a sense of foreboding. No one is really normal in this film: Mary’s fellow lodger John Linden is nearly a sexual predator, insinuating himself into Mary’s room and life with self-centered ease; her landlady, the minister for whom she works, and even the kindly doctor who attempts to assist her all seem in collusion with supernatural forces. 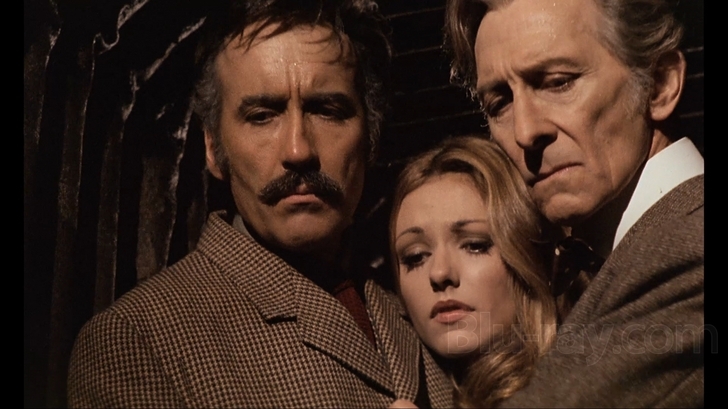 The film as a whole has a silent-movie aesthetic, especially in the appearance of the devilish ghouls who menace Mary. This element is further punctuated by an eerie organ score that veers between religious and carnival themes. The two overlap as Mary’s hallucinations become more pronounced, and then cut out altogether in key sequences, as though transition from one plane of existence to the next has been imperfectly completed. Hilligoss’s distanced performance is central to the film’s conceit: Mary is unable to connect to anyone, desperate for human contact one minute and then cold and distant the next. While the other actors vary between amateur theatrics and solid performance, Hilligoss remains both sympathetic and remote; the audience shares her terror, but cannot fully invest in her as a person. Most of the film is told through her eyes, yet there’s a sense of distance even in the most frightening sequences. Like Mary, we are disconnected from this world, and we also feel the terror that goes with that disconnection. It’s an excellent trick that combines cinematography, soundtrack, and the actress’s performance, and lends Carnival of Souls its most basic horror. Carnival of Souls was made on a budget of $3,000 and has influenced filmmakers like George Romero and David Lynch. Director Herk Harvey never made another feature film, though he was a prolific director of educational and industrial films. 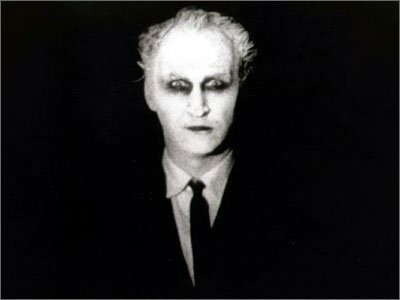 It’s a shame Carnival of Souls didn’t do any better at the box office, for it might have encourage Harvey to continue to hone his undoubted abilities in combining the mundane and the supernatural. 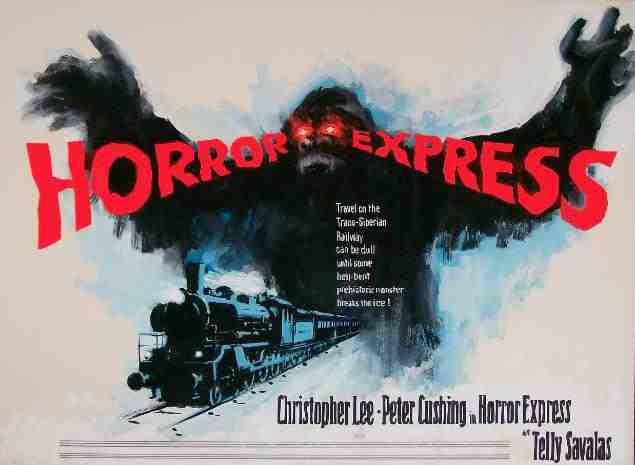 As it is, the film stands as a cult classic and a deeply influential work that helped shape the future of horror.